Remarks: REO This home is located on cul-de-sac south of I-10, about a 20 minute drive from Eglin AFB. Perfect for military family. Convenient to I-10 as well as local shopping and business district. 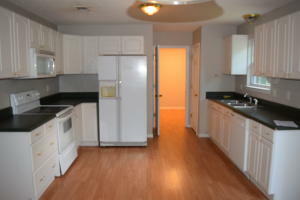 Features large kitchen and dining area, indoor laundry, and ceiling fans in living room and all bedrooms. New carpet and interior has been painted. Exterior features include sprinkler system w/timer, gutters, and rear deck great for grilling out. Green belt backs up to property for extra privacy. Call to take a look today. This entry was posted on March 24, 2017 at 10:09 pm and is filed under Blog, Blogroll, My Blog, OkaloosaFlorida.com blog, TeamSoldTV.com Blog. You can follow any responses to this entry through the RSS 2.0 feed. Responses are currently closed, but you can trackback from your own site.